1. Wild S, Roglic G, Green A, et al. Global prevalence of diabetes: estimates for the year 2000 and projections for 2030. Diabetes Care, 2004 May, 27(5): 1047-53. 2. Дедов И.И., Шестакова М.В., Викулова О.К. Государственный регистр больных сахарным диабетом в РФ: статус 2014 г. и перспективы развития. Сахарный диабет, 2015, 18(3): 5-22. 3. Martyn C, Hughes R. Epidemiology of peripheral neuropathy. J Neurol Neurosurg Psychiatry, 1997, 62(4): 310-18. 4. Dyck P, Thomas P. Diabetic Neuropathy. 2nd ed. Philadelphia: W.B. Saunders, Co., 1999. 5. Pirart J. Diabetes mellitus and its degenerative complications: A prospective study of 4,400 patients observed between 1947 and 1973. Diabetes Care, 1978, 1(3): 252-63. 6. McNeely M, Boyko E, Ahroni J et al. The independent contributions of diabetic neuropathy and vasculopathy in foot ulceration. How great are the risks? Diabetes Care, 1995, 18(2): 216-9. 7. Dyck PJ, Kratz KM, Karnes JL et al. The prevalence by staged severity of various types of diabetic neuropathy, retinopathy, and nephropathy in a population-based cohort: The Rochester Diabetic Neuropathy Study. Neurology, 1993, 43(4): 817-24. 8. Feldman EL, Russell JW, Sullivan KA, Golovoy D. New insights into the pathogenesis of diabetic neuropathy. Curr Opin Neurol, 1999, 12(5): 553-63. 9. Яхно Н.Н., Кукушкин М.Л., Давыдов О.С. и др. Результаты Российского эпидемиологического исследования распространенности нейропатической боли, ее причин и характеристик в популяции амбулаторных больных, обратившихся к врачу-неврологу (EPIC Study). Боль, 2008, 3: 24–32. 10. Sorensen L, Molyneaux L, Yue DK. Insensate versus painful diabetic neuropathy: the effects of height, gender, ethnicity and glycaemic control. Diabet Res Clin Pract, 2002, 57: 45–51. 11. Ziegler D, Gries FA, Spuler M, Lessmann F. The epidemiology of diabetic neuropathy: DiaCAN Multicenter Study Group. Diabet Med, 1993, 10: 82–6. 12. Daousi C, MacFarlane IA, Woodward A et al. Chronic painful peripheral neuropathy in an urban community: a controlled comparison of people with and without diabetes. Diabet Med, 2004, 21: 976-982. 13. Malik RA. Can diabetic neuropathy be prevented by angiotensin-converting enzyme inhibitors? Ann Med, 2000, 32(1): 1-5. 14. Benbow SJ, MacFarlane IA. Painful diabetic neuropathy. Baillieres Best Pract Res Clin Endocrinol Metab, 1999, 13(2): 295-308. 15. Potter P, Maryniak O, Yaworski R, Jones I. Incidence of peripheral neuropathy in the contralateral limb of persons with unilateral amputation due to diabetes. J Rehabil Res Dev, 1998, 35(3): 335-9. 16. Russell JW, Zilliox LA. Diabetic neuropathies. Continuum (Minneap Minn), 2014, 20(5 Peripheral Nervous System Disorders): 1226-40. 17. Bansal V, Kalita J, Misra UK. Diabetic neuropathy. Postgrad Med J, 2006, 82: 95-100. 18. Dyck P, Giannini C. Pathologic alterations in the diabetic neuropathies of humans: a review. J Neuropathol Exp Neurol, 1996, 55(12): 1181-93. 19. Thomas P, Tomlinson D. Diabetic and hypoglycemic neuropathy. Dyck P, Thomas P, eds. Peripheral Neuropathy. 3rd ed. Philadelphia: W.B. Saunders Company, 1993: 1219-50. 20. Tesfaye S, Stevens L, Stephenson J et al. Prevalence of diabetic peripheral neuropathy and its relation to glycaemic control and potential risk factors: The EURODIAB IDDM complications study. Diabetologia, 1996, 39(11): 1377-1384. 21. Ropper AH, Samuels MA (eds). Adams and Victor’s Principles of Neurology, ed 9. New York, McGraw-Hill, 2009, chapter 46. 22. Poncelet A. An algorithm for the evaluation of peripheral neuropathy. American Family Physician, 1998, 57(4): 755-64. 23. American Diabetes Association, National Heart, Lung and Blood Institute, Juvenile Diabetes Foundation International, National Institute of Diabetes and Kidney Disease, American Heart Association. Diabetes mellitus: a major risk factor for cardiovascular disease. Circulation, 1999, 100: 1132-1133. 24. 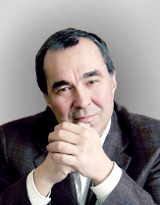 Дедов И.И., Александров А.А. Факторы риска ишемической болезни сердца у больных сахарным диабетом типа 2: роль гиперсимпатикотонии и возможности ее коррекции. Качество жизни. Медицина. 2003: 16-21. 26. Kannel WB, McGee DL. Diabetes and cardiovascular disease: the Framingham Study. JAMA, 1979, 241: 2035-2038. 27. Evans JM, Wang J, Morris AD. Comparison of cardiovascular risk between patients with type 2 diabetes and those who had a myocardial infarction: cross sectional and cohort studies. BMJ, 2002, 324: 939-942. 28. Howard BV, Rodrigues BL, Bennett PH et al. Diabetes and Cardiovascular Disease: Writing Group I: epidemiology. Circulation, 2002, 105: 132-137. 29. Дедов И.И. Сахарный диабет в Российской Федерации: проблемы и пути решения. Сахарный диабет, 1998, 1: 7-18. 30. Токмакова А.Ю., Староверова Д.Н. Современные методы ранней диагностики диабетической макроангиопатии. Пробл. эндокринол., 2005, 51(3): 39-40. 31. Чазова Т.Е., Катхурия Ю.Б. Сахарный диабет и сердечно-сосудистые заболевания: факторы риска, клинические особенности, диагностика. Мед. помощь, 2001, 5: 28-32. 32. Арутюнов Г.Л. Сахарный диабет и атеросклероз: какова оптимальная стратегия сдерживания атеросклеротического процесса? Сердце, 2004, 3(1): 36-38. 33. Давыдов А.Л., Баранова Л.Ю. Особенности гисто- и ультраструктурной организации миокарда и стенки сосудов у больных сахарным диабетом типа 2. Пробл. эндокринол., 2005, 51(3): 38. 34. Дедов И.И., Шестакова М.В. Сахарный диабет. М., 2003: 220-222. 35. Watkins PJ, Thomas PK. Diabetes mellitus and the nervous system. J Neurol Neurosurg Psychiatr, 1998, 65: 620-633. 36. Маньковский Б.Н. Сахарный диабет и цереброваскулярные заболевания. Новости медицины и фармации, 2007, 216: 21-23. 37. Балаболкин М.И. Диабетология. М.: Медицина, 2000, 672 с. 38. Ефимов А., Зуева Н., Скробонская Н. Диабетические ангиопатии: этиология и патогенез. Ліки України. 2004, листопад, 36-38. 39. Miles WR, Root HF. Arch Int Med, 1922, 30: 767770. 40. Kodl CT, Seaquist ER. Cognitive dysfunction and diabetes mellitus. Endocr Rev, 2008, 29(4): 494-511. 41. Gonder-Frederick LA, Zrebiec JF, Bauchowitz AU, Ritterband LM, Magee JC, Cox DJ et al. Cognitive function isdisrupted by both hypo- and hyperglycemia in schoolaged children with type 1 diabetes: a field study. Diabetes Сare, 2009, 32(6): 1101–6. 42. Xiao-jun Cai, Hui-qin Xu, Yi Lu. C-peptide and Diabetic Encephalopathy. Chin Med Sci J, 2011, 26(2): 119–25. 43. Чуйко М.Р., Бодыхов М.К., Скворцова В.И. Характеристика и особенности течения энцефалопатии при инсулинзависимом сахарном диабете. Журнал неврологии и психиатрии им. С.С. Корсакова, 2010, 5: 4–8. 44. Patino-Fernandez AM, Delamater AM, Applegate EB et al. Neurocognitive functioning in preschool-age children with type 1 diabetes mellitus. Pediatric Diabetes, 2010, 11(6): 424–30. 45. Biessels GJ, Luchsinger JA. Pathobiology of diabetic encephalopathy in animal models. Diabetes and the brain contemporary diabetes. N.Y.: Springer, LLC, 2010: 409–31. 46. Brands AMA, Biessels GJ, De Haan EHF, Kappelle LJ, Kessels RPC. The effects of type 1 diabetes on cognitive performance: a metaanalysis. Diabetes Care, 2005, 28: 726–35. 47. Perantie DC, Koller JM, Weaver PM, Lugar HM, Black KJ, White NH et al. Prospectively determined impact of type 1 diabetes on brain volume during development. Diabetes, 2011, 60 (11): 3006–14. 48. Brands AM, Biessels GJ, Kappelle LJ, de Haan EH, de Valk HW, Algra A et al. Cognitive functioning and brain MRI in patients with type 1 and type 2 diabetes mellitus: a comparative study. Dement Geriatr Cogn Disord, 2007, 23 (5): 343–50. 49. Ho MS, Weller NJ, Ives FJ et al. Prevalence of structural central nervous system abnormalities in early-onset type 1 diabetes mellitus. J Pediatr, 2008, 153: 385–90. 50. Strachan MWJ, Reynolds RM, Frier BM et al. The relationship between type 2 diabetes and dementia. Br Med Bui, 2008, 88: 131-146. 51. Fontbonne A, Berr С, Ducimetiere P, Alperovitch A. Changes in cognitive abilities over a 4-yearperiod are unfavorably affected in elderly diabetic subjects: results of the Epidemiology of Vascular Aging Study. Diabet Care 2001, 24: 366-370. 52. Messier C. Impact of impaired glucose tolerance and type 2 diabetes on cognitive aging. Neurobiol Aging, 2005, 26(Suppl. 1): 26-30. 53. Mijnhout GS, Scheltens P, Diamant M, et al. Diabetic encephalopathy: A concept in need of a definition. Diabetologia, 2006, 49: 14471448. 54. Biessels GJ, Staekenborg S, Brunner E et al. Risk of dementia in diabetes mellitus: a systematic review. Lancet Neurol, 2006, 5(1): 64-74. 55. Ott A, Stolk RP, Hofman A, et al. Association of diabetes mellitus and dementia: the Rotterdam Study. Diabetologia, 1996, 39: 1392-1397. 56. Yoshitake Т, Kiyohara Y, Kato I, et al. Incidence and risk factors of vascular dementia and Alzheimer’s disease in a defined elderly Japanese population: the Hisayama Study. Neurology, 1995, 45: 1161-1168. 57. Строков И.А., Моргоева Ф.Э., Строков К.И. и др. Терапевтическая коррекция диабетической полиневропатии и энцефалопатии Актовегином. РМЖ, 2006, 9: 698–703. 58. Чугунов П.А., Семенова И.В. Сахарный диабет и когнитивные нарушения. Сахарный диабет, 2008, 1(38): 61–68. 59. Reaven G, Thompson L, Nahum D, Haskins E. Relationship between hyperglycemia and cognitive function in older NIDDM patients. Diabetes Care, 1990, 13: 16–21. 60. Nielson KA, Nolan JH, Berchtold NC, Sandman CA, Mulnard RA, Cotman CW. Apolipoprotein-E genotyping of diabetic dementia patients: is diabetes rare in Alzheimer’s disease? J Am Geriatr Soc, 1996, 44: 897–904. 61. Sima AA, Kamiya H, Li ZG. Insulin, C-peptide, hyperglycemia, and central nervous system complications in diabetes. Eur J Pharmacol, 2004, 490: 187–197. 62. Beckman JA, Creager MA, Libby P. Diabetes and atherosclerosis: epidemiology, pathophysiology, and management. JAMA, 2002, 287: 2570–2581. 63. Ефимов А.С. Диабетические ангиопатии. М.: Медицина, 1989. 288 с./ Efimov AS. Diabetic angiopathies. M.: Medicine. 1989. 288 p.
64. Wredling R, Levander S, Adamson U. Permanent neuropsychological impairment after recurrent episodes of severe hypoglicaemia in men. Diabetologia, 1990, 33: 152–157. 65. American Diabetes Association: Standards of medical care in diabetes - 2011. Diabetes Care, 2011, 34(suppl 1): S11-S61. 66. Hartemann A, Attal N, Bouhassira D, Dumont I, Gin H, Jeanne S, Said G, Richard JL, Working Group on the Diabetic Foot from the Frenchspeaking Society of Diabetology: Painful diabetic neuropathy: diagnosis and management. Diabetes Metab, 2011, 37: 377-388. 67. Diabetes Control and Complications Trial Research Group. The effect of intensive treatment of diabetes on the development and progression of long-term complications in insulindependent diabetes mellitus. N Engl J Med, 1993, 1993(329): 977-86. 68. Group UP. Tight blood pressure control and risk of macrovascular and microvascular complications in type 2 diabetes: UKPDS 38. BMJ, 1998: 703-13. 69. International Diabetes Federation. Clinical Practice Recommendation on the Diabetic Foot: A guide for health care professionals : International Diabetes Federation, 2017. 70. Pfeifer MA, Schumer MP. Clinical trials of diabetic neuropathy: past, present, and future. Diabetes, 1995 Dec, 44(12): 1355-61. 71. Oates PJ, Klioze SS & the Zopolrestat Diabetic Neuropathy Study Group. Chronic treatment with aldose reductase inhibitor zopolrestat suppressed sorbitol, but not fructose, in sural nerves of patients with diabetic neuropathy. Diabetologia, 2007, 50(Suppl.1): S62(0136). 72. Котов С.В., Калинин А.П., Рудакова И.Г. Диабетическая нейропатия. М.: ООО «Издательство «Медицинское информационное агенство», 2011, 440 с. 73. Tanenberg R, Schummer M, Green D, Pfeifer M. The Diabetic Foot, 6th ed. Mosby, 2001: 33-64. 74. Vinik AI, Park TS, Stansberry KB, Pittenger GL. Diabetic neuropathies. Diabetologia, 2000, 43(8): 957-73. 75. Malik RA, Williamson S, Abbott C, Carrington AL, Iqbal J, Schady W, Boulton AJ. Effect of angiotensin-converting-enzyme (ACE) inhibitor trandolapril on human diabetic neuropathy: randomised double-blind controlled trial. The Lancet, 1998 Dec 26, 352(9145): 1978-81. 76. Brownlee M, Cerami A, Vlassara H. Advanced glycosylation end products in tissue and the biochemical basis of diabetic complications. New England Journal of Medicine, 1988, 318(20): 1315-21. 77. Cameron NE, Cotter MA, Dines K, Love A. Effects of aminoguanidine on peripheral nerve function and polyol pathway metabolites in streptozotocin-diabetic rats. Diabetologia, 1992, 35(10): 946-50. 78. Apfel SC, Arezzo JC, Brownlee M, Federoff H, Kessler JA. Nerve growth factor administration protects against experimental diabetic sensory neuropathy. Brain research, 1994, 634(1): 7-12. 79. Seckel BR. Enhancement of peripheral nerve regeneration. Muscle & nerve, 1990, 13(9): 785-800. 80. Бустаманте Д., Лодж Д., Маркоччи Л., Тришлер Г. Метаболизм а-липоевой кислоты в печени при различных формах патологии. Междун. мед. журн., 2001, 2: 133–142. 82. Stevens MJ, Obrosova I, Cao X, Van Huysen C, Greene DA. Effects of DL-alpha-lipoic acid on peripheral nerve conduction, blood flow, energy metabolism, and oxidative stress in experimental diabetic neuropathy. Diabetes, 2000, 49(6): 1006–1015. 83. van Dam PS, van Asbeck BS, Van Oirschot JF, Biessels GJ, Hamers FP, Marx JJ. Glutathione and alpha-lipoate in diabetic rats: nerve function, blood flow and oxidative state. Eur J Clin Invest, 2001, 31(5): 417–424. 84. Ford I, Cotter MA, Cameron NE, Greaves M. The effects of treatment with alpha-lipoic acid or evening primrose oil on vascular hemostatic and lipid risk factors, blood flow, and peripheral nerve conduction in the streptozotocin-diabetic rat. Metabolism, 2001, 50(8): 868–875. 85. Sun L, Chen Y, Wang X et al. The protective effect of alpha lipoic acid on Schwann cells exposed to constant or intermittent high glucose. Biochem Pharmacol, 2012, 84(7): 961-973. 86. Heitzer T, Finckh B, Albers S. Benefficial effects of alpha-lipoic acid and ascorbic acid on endothelium-dependent, nitric oxide-mediated vasodilation in diabetic patients: relation to parameters of oxidative stress. Free Radic Biol Med, 2001, 31: 53-61. 87. Reljanovic M, Reichel G, Rett K et al. Treatment of diabetic polyneuropathy with the antioxidant thioctic acid (alpha-lipoic acid): a two year multicenter randomized double-blind placebo-controlled trial (ALADIN II). Alpha Lipoic Acid in Diabetic Neuropathy. Free Radic Res, 1999, 31(3): 171–9. 88. Ziegler D, Hanefeld M, Ruhnau RJ et al. Treatment of symptomatic diabetic polyneuropathy with the antioxidant alphalipoic acid: a 7-month multicenter randomized controlled trial (ALADIN III Study). ALADIN III Study Group. Alpha-Lipoic Acid in Diabetic Neuropathy. Diabetes Care, 1999, 22(8): 1296–301. 89. Ziegler D, Hanefeld M, Ruhnau KJ, et al. Treatment of symptomatic diabetic peripheral neuropathy with the antioxidant α-lipoic acid. A 3-week multicentre randomized controlled trial (ALA-DIN Study). Diabetologia, 1995, 38: 1425–33. 90. Ametov A, Barinov A, O’brien P, Dyck PJ, Herman R, Litchy WJ et al, the SYDNEY Trial Study Group. The sensory symptoms of diabetic polyneuropathy are improved with alpha-lipoic acid: The SYDNEY Trial. Diabetes Care, 2003, 26: 770-776. 91. Monograph a-lipoic acid. Alternative Med Rev, 1998, 3/4: 308–10. 92. Kagan VE, Shvedova A, Serbinova E et al. Biochem. Pharmacol, 1992, 44: 1637–49. 93. Bridges RJ, Koh JY, Hatakski CG, Cotman CW. Increased excitotoxic vulnerability of cortical cultures with reduced levels of glutathione. Eur J Pharmacol, 1991, 192: 199–200. 94. Busse E, Zimmer G, Schopohl B, Kornhuber B. Influence of alpha-lipoic acid on intracellular glutathione in vitro and in vivo. Arzneimittelforsch, 1992, 42: 829–31. 95. Han D, Trischler HJ, Packer L. Alpha-lipoic acid increases intracellular glutathione in a human T-lymphocyte jurkat cell line. Biochem Biophys Res, 1995, 207: 258–64. 96. Бурчинский С.Г. Стратегия антиоксидантной нейропротекции: новые возможности. Здоровье Украины, 2008, 19. 97. Cao X, Phillis JW. The free radical scavenger, alpha-lipoic acid, protects against cerebral ischemia-reperfusion injury in gerbils. Free Radical Research, 1995, 23(4): 365-370. 98. Стаховская Л.В., Шеховцова К.В., Кербиков О.Б. Антиоксидантная терапия в раннем восстановительном периоде ишемического инсульта (результаты исследования «ПОБЕДА»). Consilium Medicum. Приложение Неврология, 2009, 1: 27-31. 99. Tesfaye S, Boulton AJ, Dyck PJ, et al. Diabetic neuropathies: update on definitions, diagnostic criteria, estimation of severity, and treatments. Diabetes Care, 2010, 33(10): 2285-2293. 100. Tesfaye S, Vileikyte L, Rayman G et al. Painful diabetic peripheral neuropathy: consensus recommendations on diagnosis, assessment and management. Diabetes Metab Res Rev, 2011, 27: 629-638. 101. Bril V, England J, Franklin GM et al. Evidencebased guideline: treatment of painful diabetic neuropathy. Report of American Academy of Neurology, the American Association of Neuromuscular and Electrodiagnostic Medicine, and the AmericanAcademy of Physical Medicine and Rehabilitation. Neurology, 2011, 76: 1758-1765. 102. Левин О.С. Диабетическая полиневропатия: современные подходы к диагностике и патогенетической терапии. Клиницист, 2013, 2: 54-62.